Eliminate the Stink From Shinguards with Xeros Gear! Are you a sports family with stinky gear all over your house? I play volleyball once a week and I know how stinky my shoes, knee pads and clothing can smell just after one game. Add in multiple games and multiple children playing sports and you can have a heap of stinky mess! But what to do about it? Sports equipment can be hard to wash and really shouldn't be stuck in the wash machine or drier. And fake and toxic chemical cleaners and fresheners are a big "NO!" in our house! So if you are in a similar position to this, I am so happy to introduce you to Xeros Gear! They have designed a unique deodorizer bag that target shin guards. They fit that criteria of a problem piece of equipment as they tend to smell (and smell bad) because they are against the skin the entire play time, and they are also difficult to clean. Xeros is the Greek word for dry, and that’s exactly what these bags will do for your gear- dry it out! When the moisture from sweat combines with the naturally occurring bacteria that exists on our skin it creates an odor, sometimes a foul odor, which they aim to eliminate. The Xeros Gear™ Shin Guard Deodorizing Bag holds one pair of shin guards up to 10 inches (25cm) in height and has a center pocket for the Xeros Gear™ Shin Guard Deodorizing Bag Insert. Each bag comes with a deodorizing moso bamboo charcoal insert. The bag design is creative, as it allows the shin guards to have their "skin side" face each other, with a pocket in the middle that holds the highly effective moso bamboo charcoal which removes the moisture and odor. The middle pocket has a velcro opening at the top so the moso bamboo charcoal bag can be removed to either place in the sun for a couple of hours to rejuvenate, or, when it's useful life is up, after about a year, to replace with a new moso bamboo charcoal bag. This feature ensures that you don't need to buy a whole new shin guard deodorizing bag when the moso bamboo charcoal needs replacing, and it also allows for the shin guard deodorizing bag to be washed. As I mentioned, this product is so natural and safe for all ages and all families! I LOVE that the moso bamboo charcoal contains no toxins, fragrances or chemicals, so it won't have a negative reaction on your skin. Unlike most other deodorizers, moso bamboo charcoal is eco-friendly and biodegradable. Bamboo itself is also sustainable, so they are not taking away from the environment as the bamboo is fast at replenishing itself. PLUS, because you are keeping the shin guards dry and odor free, the bacteria that are usually are on them won't be there either - so it should also help in preventing shin guard rash and other skin afflictions! So many problems solved with this one bag and insert! 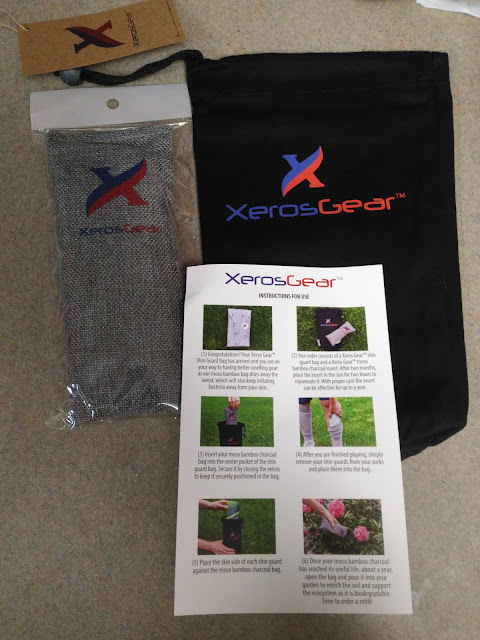 So, eliminate the stink, sweat and bacteria this soccer season and every soccer season with Xeros Gear! Their shin guard bag and deordorizer is natural, safe and effective and SO easy to use - even your children can do it on their own! 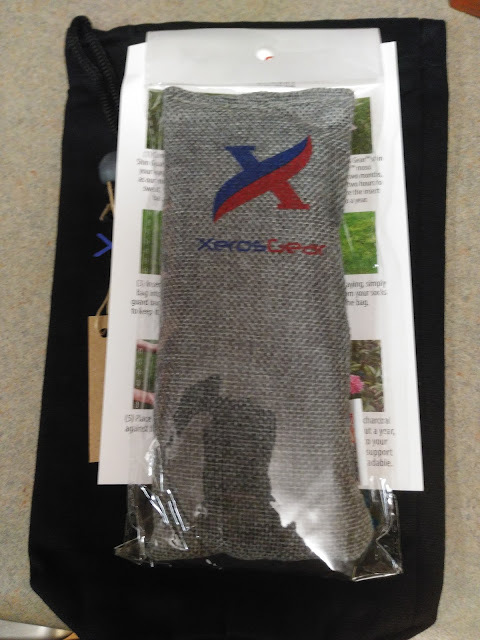 You can purchase the Shin Guard Deodorizing Bag + Insert for $23.99 from the Xeros Gear website.